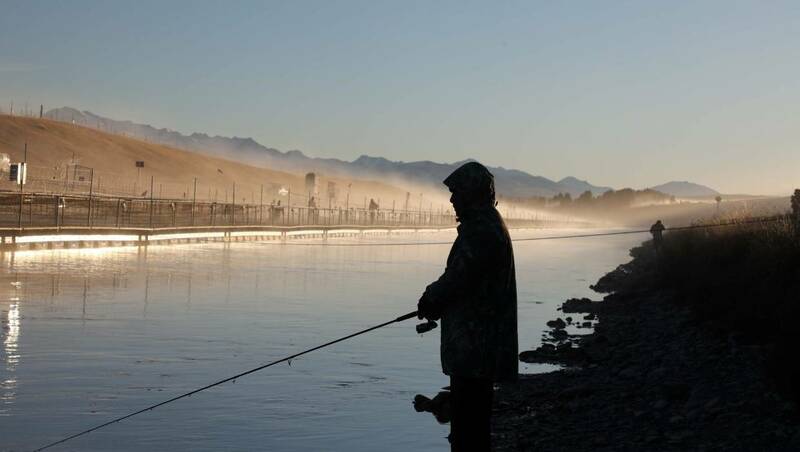 Eyewitnesses report seeing an angler land a 24.9kg (55 pound) brown trout in the Pukaki-Ohau canals. 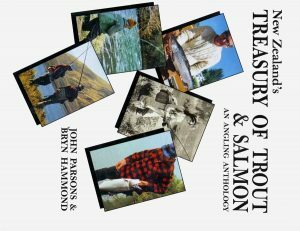 Fish and Game is still confident that the angler reported to have hooked a world-record brown trout catch in the Mackenzie hydro canals will be discovered. 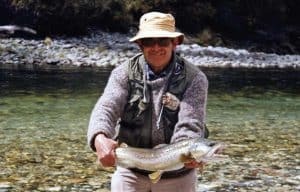 Angler Tony Dawson laid a complaint with Environment Southland after finding a green discharge from the Mataura wastewater plant in the Mataura River. 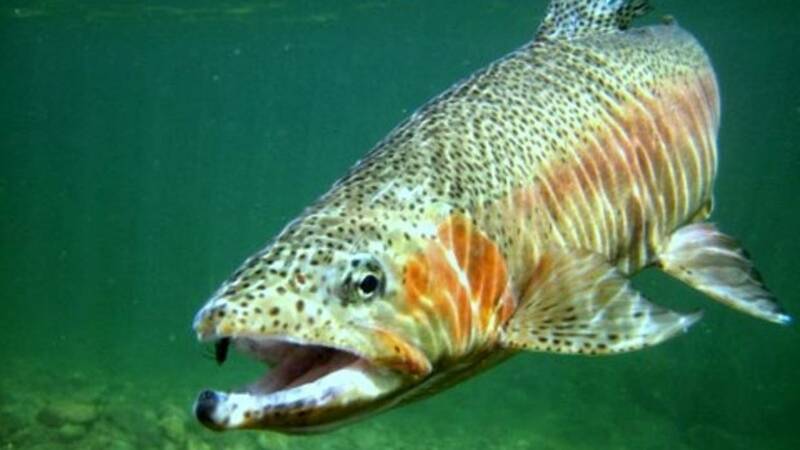 Farmers’ fly rods could be gathering dust this summer as many refuse to buy trout fishing licences in protest against Fish & Game’s “political attack” on the dairy industry. As mentioned earlier yellow is a standout colour is discoloured water. Here a blue hackle collar and blue hackle tail whisks have been added for contrast. 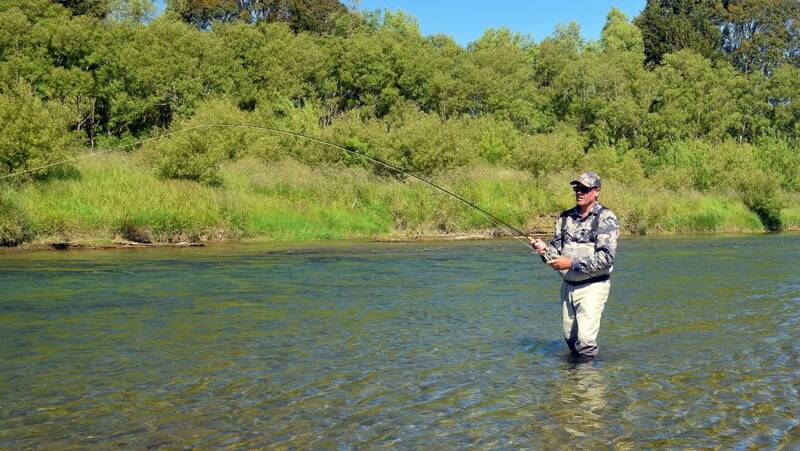 Another salmon fly from Tight Lines. 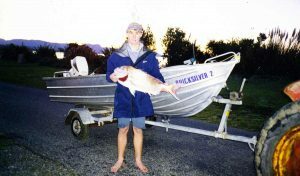 The name alludes of course to the Waitaki River. 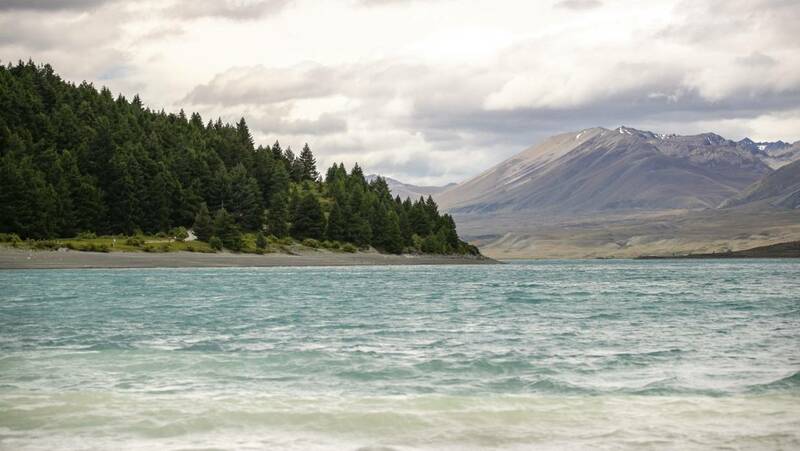 A river once noted for carrying the largest salmon in New Zealand.